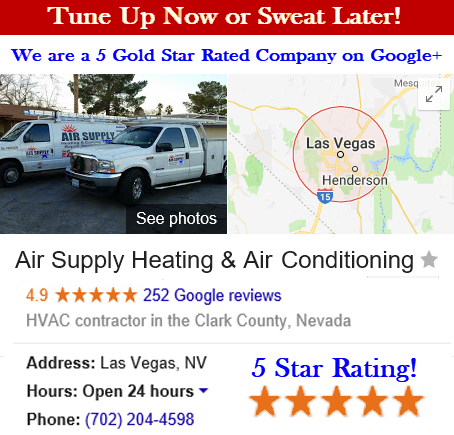 Across the Las Vegas, Nevada Valley, commercial businesses and residential homes have a reliable source when it comes to their HVAC system needs with Air Supply Heating and Air Conditioning. Being a full service HVAC system contractor, Air Supply Heating and Air Conditioning is completely certified, licensed, and insured to provide our expertise at an affordable cost. With our commitment to ensuring our valuable customers have an extraordinary experience consistently, we proudly apply friendly customer service and traditional values on a consistent basis. 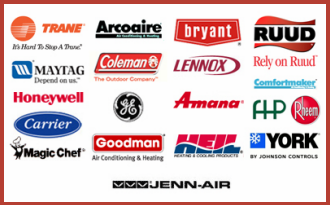 Using high-end products and equipment Air Supply Heating and Air Conditioning’s experienced and trained specialists can deliver superior execution on all services rendered. Air Supply Heating and Air Conditioning takes care of the commercial and residential property owners in the Greater Las Vegas, Nevada area air conditioners and troubleshoots the various components including the air handler. The air handler is comprised of mechanical and electrical parts that deteriorate over the course of time, reducing the efficiency of the air conditioner unit. With preventative maintenance, you can minimize the need for repairs, but the nature of the air handler will need attention from time to time. The air handler, a large metal box that houses a blower, heating and cooling elements, sound attenuators, filter racks or chambers and dampers, is responsible for assisting with the distribution of the conditioned air throughout the home or business in conjunction with the ductwork ventilation system where it connects. Air handler troubleshooting can be done by the owner in simpler applications, but when it becomes more complex, a professional from Air Supply Heating and Air Conditioning should perform the task. 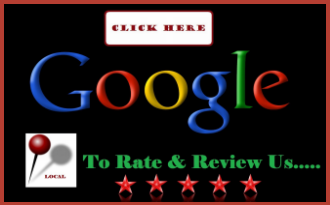 Below you will find a compilation of the most common issues with the air handler. Clogged/Dirty Air Filters: Air needs to flow efficiently through the air handler unit. If it does not flow properly, the air handler cannot function adequately. Changing or cleaning the filters according to the type of filter you have is important for the efficiency of your system, as well as avoiding potential problems down the line. Many of the digital or smart-thermostats are equipped to inform when the filter needs attention. Otherwise, checking on all the filters associated with the HVAC system on a monthly basis is ideal to ensure optimum efficiency. Clogged/Dirty Evaporated Coil: Dirty or clogged evaporator coils can impact the air handler and typically occurs when there is no air filter. Parts within the air handler become clogged with dust and debris without an air filter. To reduce the unit’s cooling capacity, the evaporator coils freeze and for liquid refrigerant to return to the compressor. Turn the thermostat off for a few hours if the coils look frozen or there is water below the unit. Failed Blower Motor: The air filter can also affect the blower motor and force it to quit. With the failed blower motor the dust will accumulate, putting a strain on the system which makes the motor work harder to compensate, which then creates excessive heat. With prolonged use under such conditions, it will burn out and require replacing. 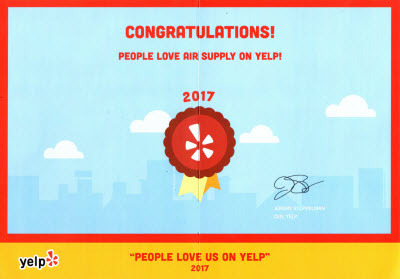 Air Supply Heating and Air Conditioning is eager to help the commercial businesses and residential homes of the Greater Las Vegas, Nevada area with any issues concerning the central air conditioner as well as troubleshooting the air handler. Call Air Supply Heating and Air Conditioning today!